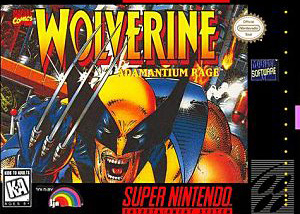 Wolverine: Adamantium Rage for Super Nintendo allows you to play as Wolverine as he embarks on a journey to uncover his past. He will have to battle his way through the Weapon X lab and the streets of Tokyo. In every location Wolverine visits, he will have to use a variety of battle moves to dispatch his enemies. Use a wide range of battle moves against tons of enemies throughout multiple missions.